Why is finding the right off-road lights for Jeep Wranglers so important? Well, the Wrangler is an impressive piece of machinery, no doubt, able to climb pretty much anything and go pretty much anywhere right out of the box. But you’re not going to get very far if you can’t see, and this makes finding the right off road lights super important if you’re planning on doing some high level trekking. 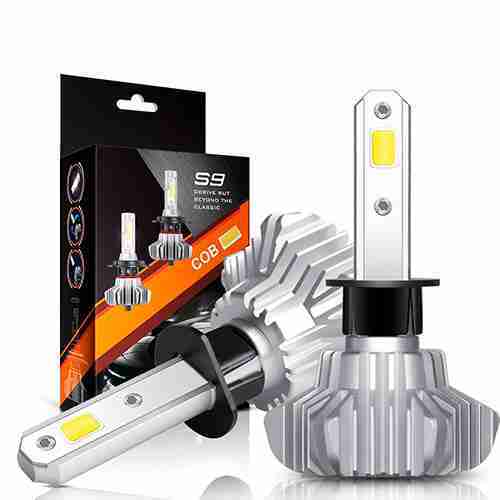 This essential bit of electronics is often overlooked, which is why we’ve dug up four of the best for you (and after our reviews, we go into details what you should be searching for when selecting the right off-road lights). But first . . .
Easy to install and dirt cheap, Autofeel offers a series of off-road light bars which you can mount in order to make your playtime a whole lot safer. They come in a lot cheaper than the competition and have a wide variety of sizes which will allow you to make sure that you’re able to see the road. These lights are offered in a 6500K color temperature and a wide variety of sizes. You can even pick from straight and curved configurations to suit your unique needs. No need to break the bank. These are definitely good enough to keep you safe while you’re off roading. 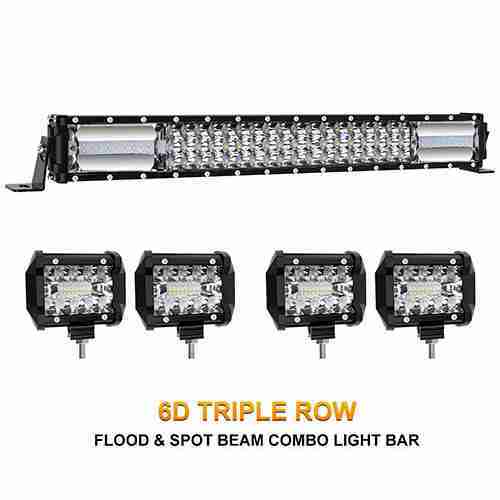 Three rows of powerful LED lighting offer you an astonishing 40,500 lumens of super bright, white light to allow you to see your way through even the roughest domain. 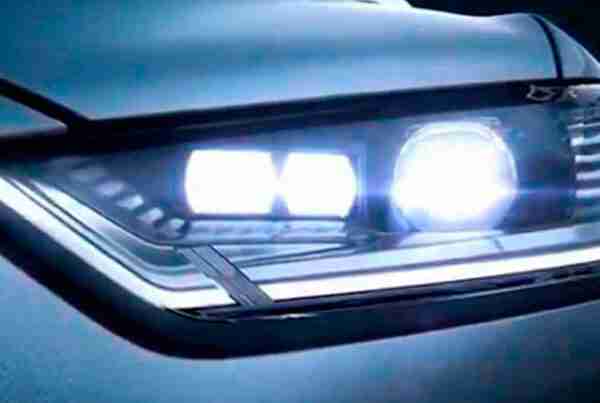 No matter the time of day, you’ll be able to see clearly with this set of lights. The heat dissipation is top notch, making sure that your bulbs will live to a ripe old age and the two year warranty covers you if anything bad does happen. The 32”, three row option is perfect for most people, but if you’re looking to get serious then you can get them bigger and badder. For the money, these are without doubt among the best off-road lights for Jeep Wranglers. If you’ve been looking for top notch lighting then the fix is in. 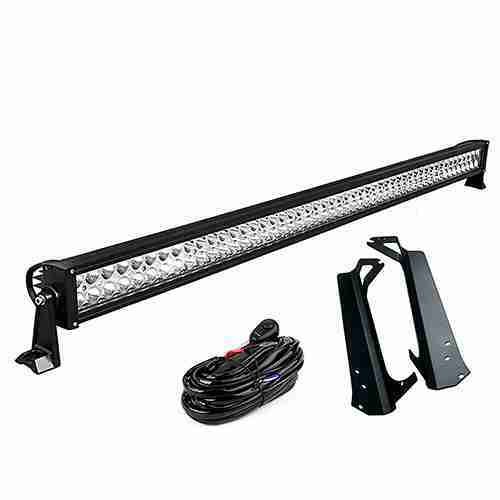 This 52”, curved light bar is astonishing to see in action and easily installed on your Wrangler. No fuss necessary to generate some serious lighting potential. Instant daylight is the comparison that comes to mind (see full specs), and the curved bar allows you a wider radius of vision while limiting the amount of light lost to the direct front. These off road lights are a bit expensive, and only come in a curved configuration, but they’re some of the best around. It’s not the brightest on the market, but coming in with 27,000 lumens you’re definitely not going to be left wanting for illumination if you opt to work with these. This 52” bar is perfectly adapted to sit atop your Jeep and the framing is pretty much shock-proof (see full specs). If you’re on really rough terrain, you can rest assured that this bar isn’t going anywhere. Keep yourself safe and keep on going with confidence, knowing that you’re not going to be let down by this off road light bar. If you’ve had the forethought to look up a bar, chances are that you know they’re one of the most important pieces you’ll ever buy for your safety. It’s easy to get lost while out hunting or just tooling around in the back country and being able to get back in the dark with confidence is a nice bonus to have. The old halogen style bars have been pretty much entirely replaced with LEDs. They use less energy, they generate less heat, they’re brighter, and they last longer. There’s just no reason not to use the latest and the greatest, especially when you consider the prices. You’ll want to take note of the following before you make a final decision. The Lumen count attached to a set of lights will give you a rough idea of how powerful it is. This measurement came into use because LEDs simply provide way more light per watt of power than any of their counterparts. For comparison, a standard house lightbulb puts out about 800 lumens of light, whereas your new off road lights will generally be measured in tens of thousands. More lumens means more light, but that’s really not the only measure of how much visibility you’ll get. With new curved bars coming out, there’s a new factor to take into account. Both have their advantages and this will usually be the determining factor. A straight bar will provide the most light directly in front of you. This is fine for work light applications or when you’re in fairly easy terrain and just looking out for pot holes and other simple obstructions. Just jam it and go. Curved bars really shine in cluttered environments. If you’re planning on going off road to hunt deer or anywhere you might run into trees and shrubs you’ll find that you gain a huge advantage by being able to increase the field of view. Curved bars will allow light outside of the immediate front of the vehicle. Which one you choose to go with will largely depend on your preferred terrain. If in doubt, a curved bar is usually a better option. They’ll perform a bit less well directly in front of you but the trade-off in field-of-sight is enormous. You need a good mounting setup which won’t add a ton of weight to your Jeep. The best are made of aluminum, but if you don’t go with any of our recommendations you want to avoid plastic mounts at all costs. They just don’t hold up. Making sure you have the best off road lights for Jeep Wranglers is one of the first steps to making sure your vehicle is prepared for anything. Once you’ve picked out the right bar you’ll be good to go, just install it and hook up the wires and you’re on your way to an even broader range of adventures. Good luck!